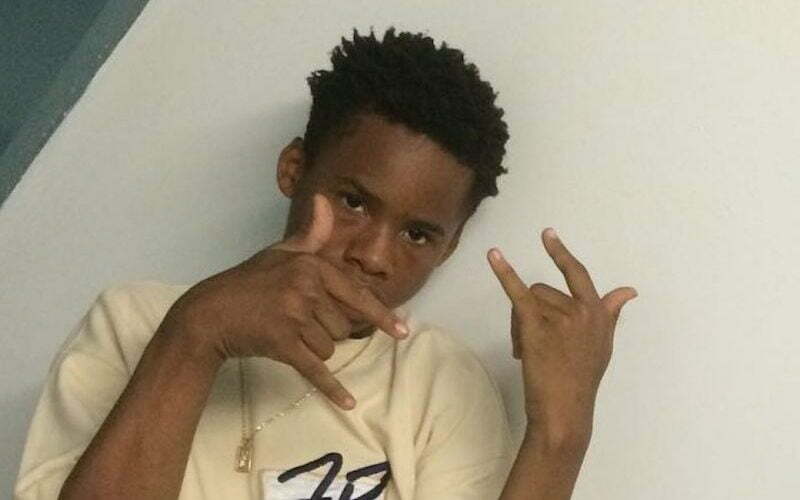 Teenage rapper Tay K is facing a very long time in prison after additional charges were tacked on to his case. “The Race” rapper is currently behind bars for a capital murder charge and aggravated robbery. Now there are reports that he was slapped with a second capital murder charge for a killing in San Antonio. All these charges carry life sentences. Tay K was offered $500,000 bail which he is unable to make despite having one of the hottest rap songs out now. 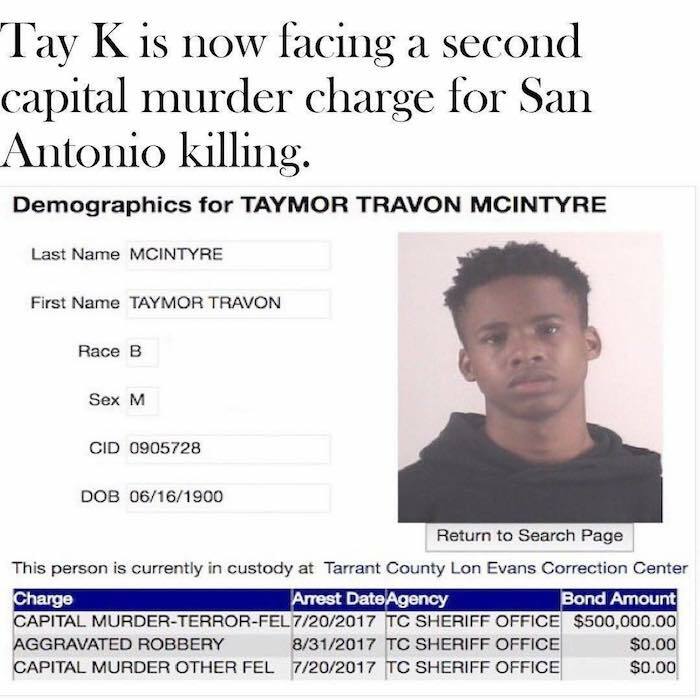 Tay K, whose real name is Taymor McIntyre, legal trouble started last year when 21-year-old Ethan Walker was killed during a home invasion in Mansfield, Texas. The rapper and his associates were arrested for the crime, but he was placed on house arrest pending a trial. He cut loose his ankle monitor and made a run for it and was on the run as a fugitive before getting captured. While on the run, cops say he committed another murder involving a 65-year-old man who was killed.